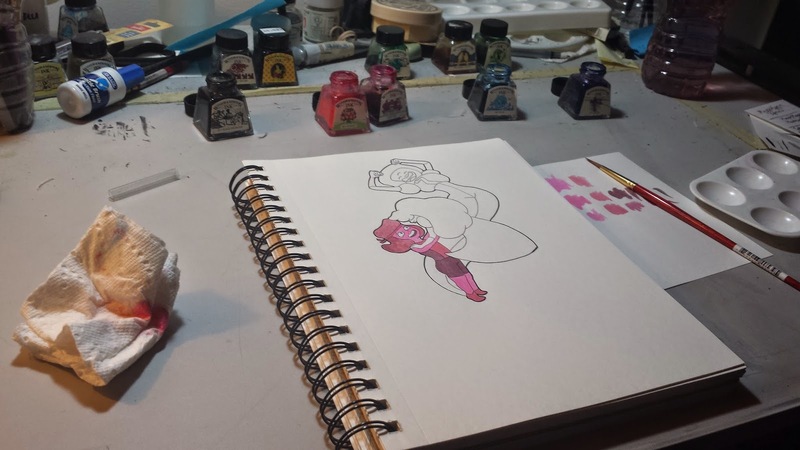 So, I'm just a teensy bit obsessed with Steven Universe. So here's a piece I drew based off this photo of Sid and Nancy. 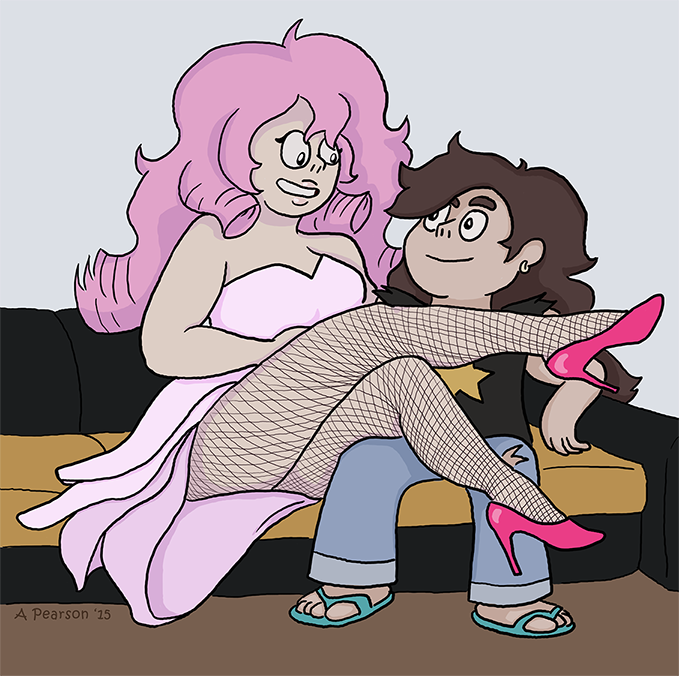 Rose Quartz loves her a rock star! Well sort of. Bonus! 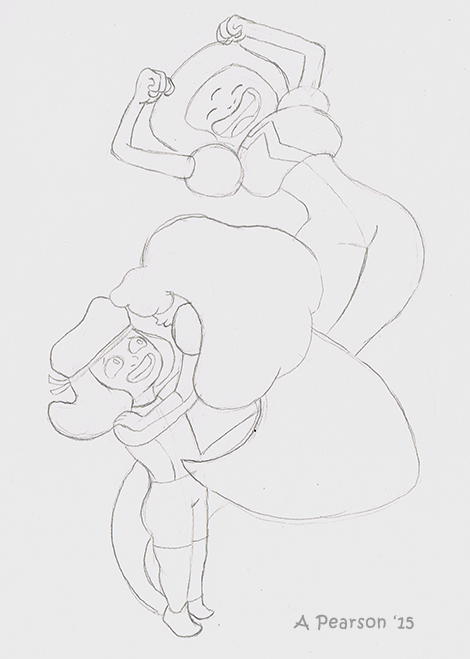 Here's a quick sketch of Garnet with Ruby and Sapphire. So I suppose this might be considered "Spoilers", so Spoiler Alert! Honestly, though, not sure how many people care about Steven Universe spoilers. Anyway, toward the end of the season in the episode "Jail Break" we find out the Garnet is actually a fusion. Which sort of makes sense. 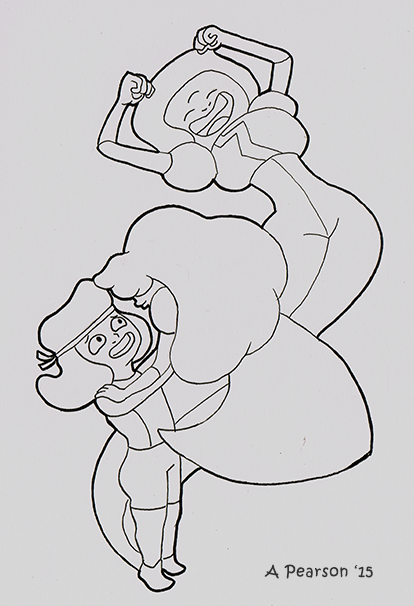 She is the one who encourages Stevonnie to enjoy her fusion experience and she is the only crystal gem with two gems and more than two eyes. 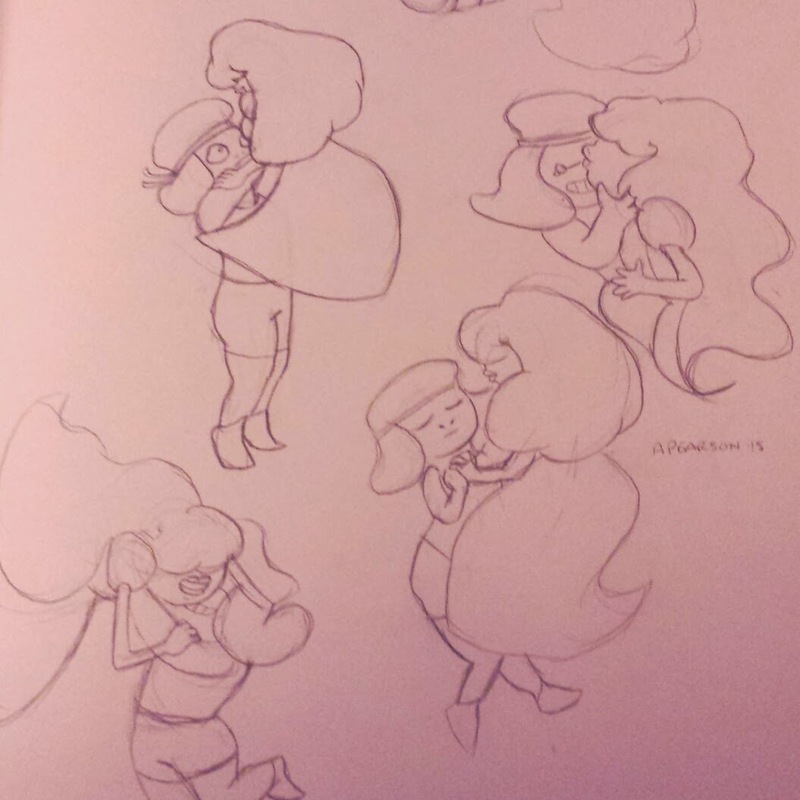 So in the episode Garnet gets separated and her two halves Ruby and Sapphire have to find each other. Their reunion is pretty beautiful. 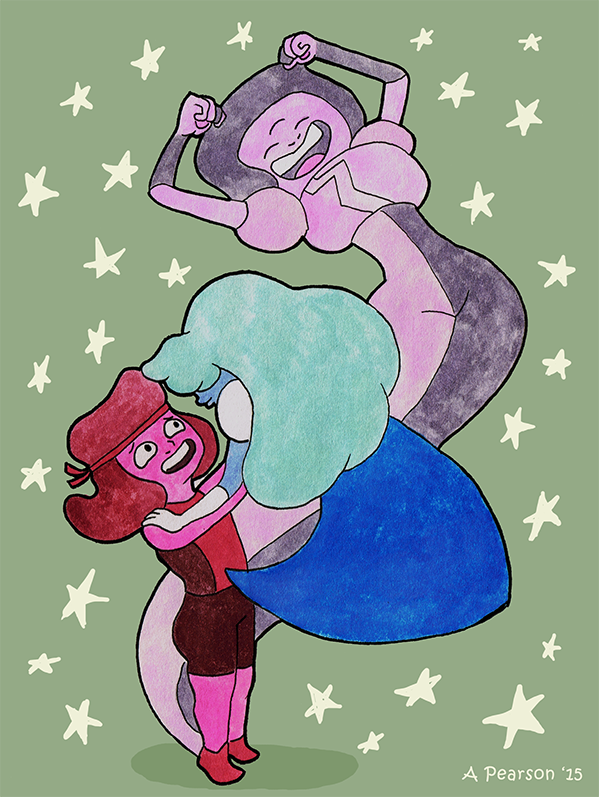 I decided to do a few doodles last night while watching Steven Universe and then finally decided to do a little colored illustration. Enjoy! 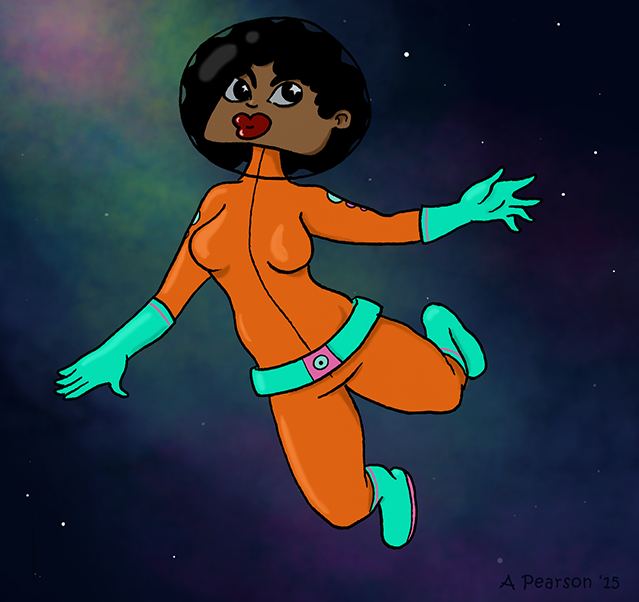 Here's a space chick. I've been doodling a lot of spacey stuff recently, trying to work though this concept I have for a comic. I kinda liked the way this sketch turned out so I decided to ink it and color it in Photoshop. Her uniform is sort of a throwback to this illustration I did a few years ago. Enjoy! Bonus! I had a lot of fun at last week's NYC Comic Jam. Here are two fun pages that came out of that. NSFW. I drew the third panel on this one. 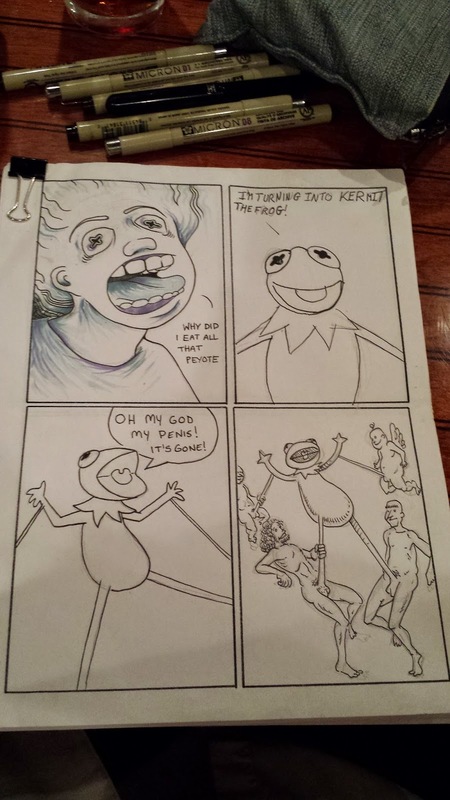 It's not great; I totally forgot what kermit's feet look like. Fortunately Cheese was able to take my blunder and come up with an awesome punchline. Good stuff. I drew the last panel on this page. I'm slightly more proud of this one. Good times.